Size Range: 1/2"-4", 1/2"-6", 1/2"-2"
Size Range: 1/2"-8'', 1/2"-6", 1/2''-10", 1/2"-2", 1/2"-4"
Size Range: 1/2"-4", Or As Per Requirement, 1/2''-10", 1/2"-2", 1/2"-8'', 1/2"-6"
Size Range: 1/2"-4", 1/2"-8'', 1/2"-2", 1/2''-10", 1/2"-6"
We are offering a wide range of MS & SS U Clamps as per specification or drawings. We are equipped with requisite facilities to develop these products in accordance with customer specifications. We ensure our products conform to international quality standards and offers excellent results in the usage. As an illustrious corporation of the industry, we are eagerly immersed in presenting a broad gamut of SS U Clamps to our patrons. Made using premium quality stainless steel, U Strap Clamp is available in various sizes and specifications as per the client usage. It is used in various industrial areas for specific applications and is professionally inspected to meet the industrial demands. 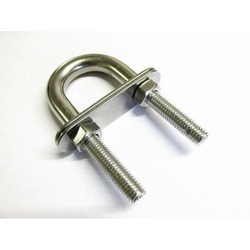 With our vast industrial experience, we are engaged in offering a broad range of SS U Clamps. These SS U Clamps are sturdily constructed under the supervision of skilled professionals by using premium quality material. 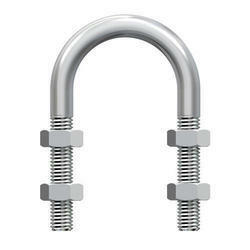 We offer these SS U Clamps to the customers at most reasonable rates. Size Range: 1/2"-2", 1/2"-4", 1/2"-6", 1/2"-8'', 1/2''-10"